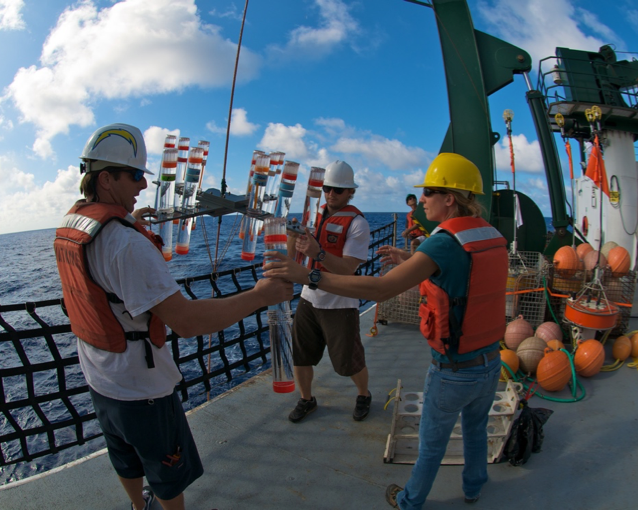 HOT scientists recovering sampling equipment on the deck of the Kilo Moana. PC: UH SOEST/ HOT. The University of Hawai‘i research vessel Kilo Moana returned from the 300th scientific expedition of the Hawai‘i Ocean Time-series (HOT) program on Wednesday, Feb. 28, 2018, after 30 years of almost monthly research cruises to observe and interpret habitat variability and to observe and understand the impacts of climate variability and change on Hawai‘i’s marine ecosystem. Station ALOHA. Credit: Tara Clemente, UH SOEST/ HOT. 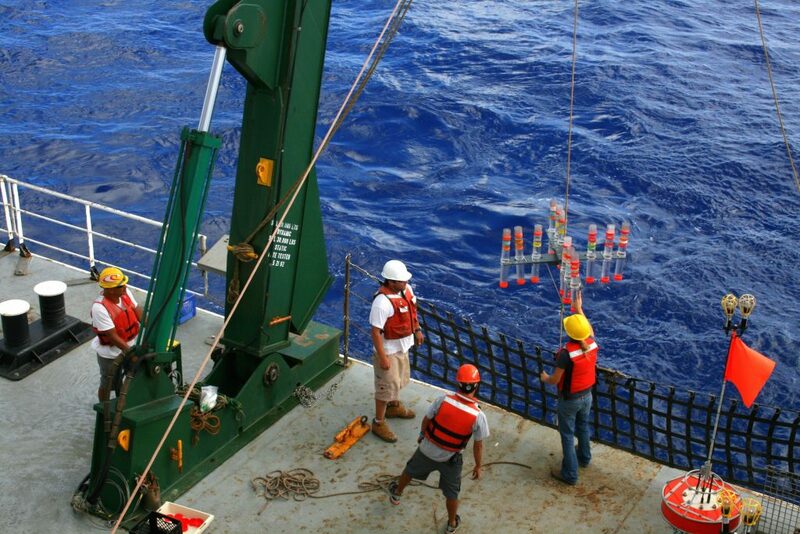 On Nov. 3, 1988, the scientists and crew aboard UH research vessel Moana Wave successfully established a deep ocean observation station dubbed ALOHA (A Long-term Oligotrophic Habitat Assessment), 60 miles north of O‘ahu, as the benchmark site for the HOT program. Karl and Roger Lukas, who at the time were both professors of oceanography in UH’s newly created School of Ocean and Earth Science and Technology (SOEST), led the expedition. 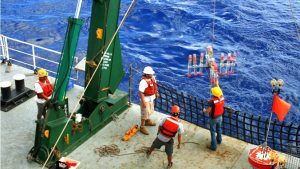 The primary objective of HOT was to obtain a long-term time-series of physical, biological and chemical observations at a location that was characteristic of the North Pacific Subtropical Gyre habitat to address U.S. Global Change Research Program goals—to document and understand variability of ocean water masses and circulation; to determine the relationships between microbial community structure and function, including nutrient dynamics and carbon sequestration; and to measure carbon dioxide in upper ocean and changes in the capacity of the ocean to absorb it. 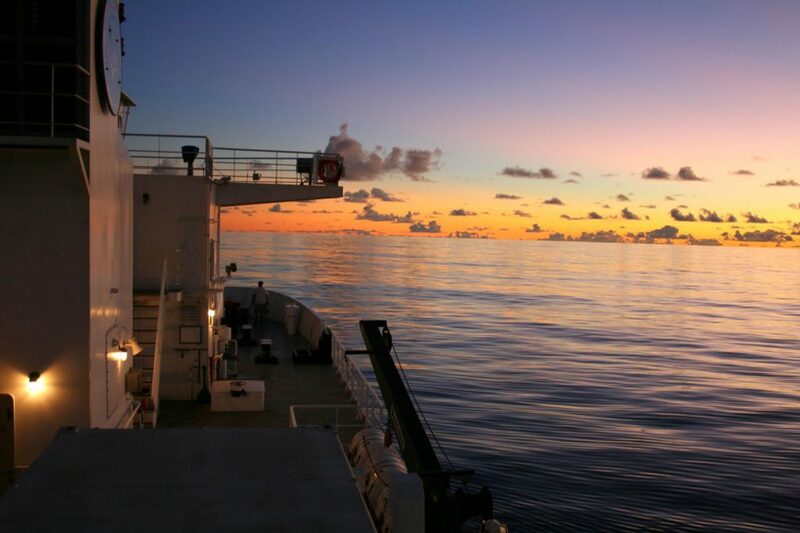 “Observing the ocean carefully, consistently, frequently and long enough to capture important modes of variability is very hard work that is occasionally rewarded with fundamental discoveries,” said Lukas, now a UHM Oceanography professor emeritus. 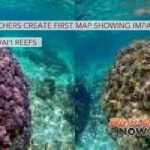 Completion of 300 research cruises marks a major scientific milestone and makes Station ALOHA one of the best-sampled places in the world’s oceans with a decades-long record of how the ocean responds to climate change. 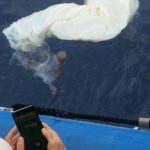 In addition to the monthly ship-based observations, HOT program scientists have access to real-time satellite-based remote observations, unattended mooring measurements, autonomous instrumented gliders and floats, and a cabled seafloor observatory with power and fiber optic internet connections back to O‘ahu. This has provided invaluable documentation on progressive ocean acidification, changes in seawater temperatures and changes in plankton biodiversity. The success of the HOT program, to date, is a result of the coordinated, dedicated efforts of a large team of academic scientists, marine technicians and engineers, and the professional crews of the research vessels. 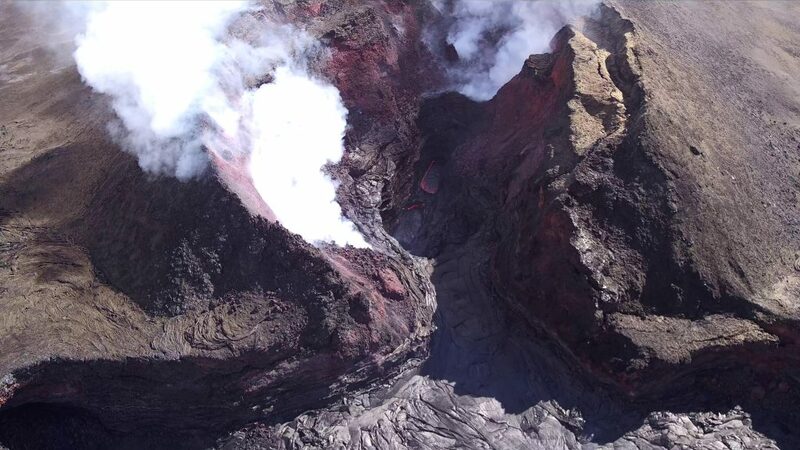 The HOT program receives primary funding from the U.S. National Science Foundation in partnership with the Simons Foundation, the Gordon and Betty Moore Foundation and the State of Hawai‘i.